This is the marvelous story of Sri Ramakrishna's life—the intimate details of how he realized God and how he taught his disciples to do the same. It is the authentic, factual, descriptive, interpretive, and comprehensive biography of Ramakrishna, the spiritual phenomenon of our age. This is the marvelous story of Sri Ramakrishna’s life—the intimate details of how he realized God and how he taught his disciples to do the same. It is the authentic, factual, descriptive, interpretive, and comprehensive biography of Ramakrishna, the spiritual phenomenon of our age. 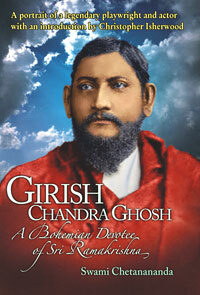 This source biography of Ramakrishna (1836-1886) is based on interviews with those who knew him. 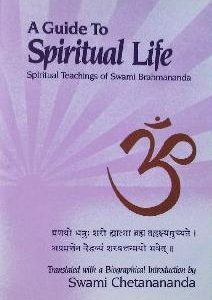 It is also an interpreted description of the entire range of Ramakrishna’s spiritual disciplines and experiences, explained as much as possible in terms of reason and common empirical experience, with reference to Hindu scriptures and spiritual traditions, western philosophy, Hindu psychology, and Western religious tradition. The setting is Northeast India from 1775 to 1886.
for experienced meditators this book offers delightful and profound answers to deeper questions about traveling the spiritual path. for scholars this book offers the source biography for Ramakrishna’s life and teachings, as well as an authentic look into India’s spiritual history and its various religious and philosophical traditions. for those simply interested in adventure, this book provides absorbing details of the journey through consciousness of one of the greatest spiritual figures of all time. Sri Ramakrishna was one of the greatest of India’s spiritual adepts of recent times, actively embodying India’s profound tradition of plurality. By assimilating the sadhanas, customs and practices of different faiths into his own personal practice, he presented a powerful example of respect for other traditions, even while maintaining a deep fidelity to his own. His transparently pure and well-documented life remains a guide and inspiration to millions on their spiritual path. 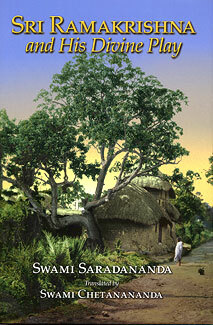 I am sure many readers will be grateful to Swami Chetanananda for his English translation of Swami Saradananda’s authoritative biography of Sri Ramakrishna from the original Bengali. Detailed eyewitness accounts of spiritual geniuses—whose impact on history far surpasses that of kings and potentates—are second only to sacred scriptures in the place they occupy in the library of humanity. 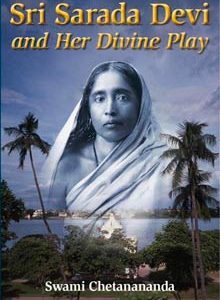 Now, at last, we have a splendid translation of the source biography from which all previous accounts of Sri Ramakrishna have drawn. Swami Chetanananda’s long-awaited translation of Sri Ramakrishna and His Divine Play is an epic event in the unfolding saga of world spirituality. The Master’s mind ultimately developed unlimited love for God, devout faith, and dependence on the Creator of the universe as “the Goal, the Support, the Lord, the Witness, the Abode, the Refuge, and the Friend” (Gita 9:18). Because of this he established a loving relationship with the Divine Mother and felt Her presence always. Furthermore, he had proof that a true aspirant experiences God’s constant presence through childlike dependence on the mother. That blessed one always hears God’s sweet message and always travels fearlessly in this world protected by His powerful hands. Now the Master’s mind became fully accustomed to performing all actions, big or small, at the command or prompting of the Divine Mother. In Sri Ramakrishna’s life can be found a synthesis of four yogas: karma, jnana, bhakti, and raja. And the philosophies of the three main schools of Vedanta—dualism, qualified nondualism, and nondualism—were blended in his teachings. He lived his life at the cross roads where many religious sects of India met. He never spoke a harsh word against anyone’s faith. He was so all-embracing that members of every sect thought that he was one of them. His all-encompassing love and compassion transcended all sectarian narrowness and bigotry.